Wyndham Lewis, T.S. Eliot. 1938. (c) By kind permission of the Wyndham Lewis Memorial Trust (a registered charity). The Nobel Prize winning poet and playwright Thomas Stearns Eliot was born 123 years ago today, on September 26, 1888, in St. Louis, Missouri. Eliot grew up in St. Louis and went to college at Harvard. After graduate studies at Harvard, the Sorbonne, and Merton College, Oxford, he ultimately settled in England. In 1927, he became a British citizen and converted to the Anglican Church. T.S. Eliot died in England in January 1965. Many of T.S. 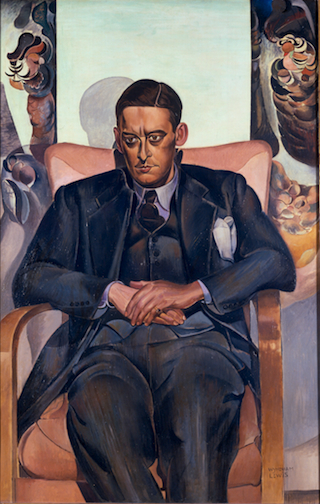 Eliot’s poems, including The Waste Land (1922), draw on the King James Bible, but his later works, including Ash Wednesday (1930) and The Four Quartets (1945) are especially rich in biblical language and ideas. Learn more about Eliot and the King James Bible (as well as the KJB’s influence on eleven more writers, from John Milton to Marilynne Robinson) through the Literary Influences timeline on the Manifold Greatness website. In the case of Eliot, the timeline uses Ash Wednesday as an example of the ways in which Eliot’s language is enriched by, and sometimes borrows from, the King James Bible, citing particular passages from the poem and the Bible, as well as the Book of Common Prayer.